Plastic Pact – is it all its cracked up to be? On the 25th April 2018 42 leading companies and a number of industrial organisations launched the Plastic Pact in conjunction with WRAP and the New Plastics Foundation. Amongst the signatories were the major supermarkets (with the exception of Co-op and Iceland) and some other big name brands including Pret and Unilever. A cynic might wonder how much of this is down to China’s ban on all imports of plastic and other waste. The result is that a UK market for recycled material needs to be created (30% recycled content across all packaging) to stop waste management costs escalating and recycling levels stalling or falling. It also requires means waste streams to be easy to recycle so it is worthwhile investing in the recycling infrastructure and technology (eliminate problematic packaging). Having already looked at the supermarket packaging a few weeks ago I wondered how much of this was new, or was already in their plans? As for the recycled content, this is generally an increase. Aldi and Lidl had already pledged to go further, with 50% made from recycled plastic by 2025, Waitrose were looking at the feasibility of increasing the recycled content, but there wasn’t much from the other supermarkets. The goal to eliminate problematic or unnecessary single use plastic I think this, if it is monitored and the definition of unnecessary or problematic is not too loose, could be a positive outcome. There had been some plans to remove hard to recycle items such as black plastic trays (which of course will have to go if they are to meet the 100% recyclable, compostable commitment), or to trial some plant based cartons for tomatoes, but, with the exception of Iceland, there had been no plans to eliminate any packaging, just reduce it – this usually comes by reducing weight and making the plastics thinner. If interpreted in the spirit of the commitment, this could really push a change in the supermarkets’ attitudes. But, I don’t think it will mean glass milk bottles back on the shelves or cardboard punnets and paper bags in the fruit and veg aisles. They haven’t yet said how they are going to do this, and I can’t find details of who will be monitoring it all (hopefully the New Plastics Foundation), but it does hopefully mean that some of the suppliers to the supermarkets will also be working to eliminate some plastics. Of course, this is just a first step and I would personally like to see the use of plastics stopped wherever possible as soon as possible. Whilst I don’t expect to be able to go to Waitrose and buy much other than onions and carrots free from added packaging in the near future, I shall be watching with interest to see whether the promises made last month are kept and whether there is any significant reduction in the almost 1 million tonnes of plastic packaging coming out of the supermarkets each year. Posted on May 13, 2018 Categories Enviro-Mentalist at Home, Environmental IssuesTags plastic, Plastic Pact, recycling, supermarketLeave a comment on Plastic Pact – is it all its cracked up to be? The Blue Planet Effect – is it real? Even without a television, I am aware of the so-called Blue Planet 2 effect. Or at least one manifestation of it – the ‘concern’ about the plastic pollution in the oceans. We now have a Prime Minister calling for the removal of single use plastic ‘wherever possible’. Michael Gove has mentioned plastic and Blue Planet in the House of Commons. There is some rejoicing on social media as the government is consulting on a deposit return scheme for plastic – just as we did in the 1970s for glass. At work I have even had people asking me if we can do some more recycling because ‘We have to save the fishes’. My first thoughts were why can’t we do the same for Climate Change – make it something people care about? After all, climate change is arguably an even bigger problem. But, I am reliably informed that the series also emphasised the devastating impact of climate change on our oceans – but somehow this seems to have been lost in the press. I am sure there are many theories out there as to why this is the case, but I can think of a couple of reasons. You can see plastic; pictures of seahorses with cotton buds and turtles with plastic in their mouths are memorable. Other than a polar bear without an iceberg, what does the impact of climate change on the oceans look like? Possibly just as important though is that to make an impact on climate change, we all have to change our lifestyles. Whilst these solutions will save households money, for most people not flying, turning down the heating, cutting car use or going meat light are not things that we are willing to do just to save the planet. But, I hear you say, there are things individuals can do to mitigate the plastic issue – and indeed there are. We can stop using plastic bags (although that only worked when the government slapped a 5p tax on them). We can get a reusable water bottle – that would definitely save money (and I see them being used much more frequently) or a reusable coffee cup (again, I think a tax is the only way, because I rarely see anyone taking a coffee cup into most coffee shops). But these are hardly going to be a lifestyle change compared to giving up a Caribbean holiday or fancy new SUV. But, once we have our reusable bottle and cup, we can sit back and be pleased with ourselves, because it is the supermarkets’ faults and there is not much more we can do about it, even if we wanted to. And, there is a point – there are increasing shouts on Twitter about the fact that some supermarkets are charging much less money for veg in plastic than loose and unfettered as nature intended, and it seems that the number of items sweating in plastic on the shelves is increasing. Going plastic free often seems to be the expensive option. I can (and now do) buy my milk in glass, but the increase in cost is about having it delivered rather than being in glass – that adds just 1p over the delivered plastic version. The switch to glass is costing me about £100 – but then I have saved half of that amount (and probably done my health some good) by cutting my milk consumption by about 2 pints a week. If you think I am being a little harsh on my fellow British humans and their motivations, I would point to a recent IPSO Mori poll about the British attitude to plastic. Whilst 85% of those polled were concerned about plastic to some extent (interestingly it was the millennials and GenX who were the least concerned) only 3% believed we consumers had the biggest responsibility to reduce packaging, 27% thought it was down to the companies that make the goods. Most think it is a shared responsibility between companies producing and selling packaged goods, the government and consumers (and I would tend to agree). Given that 85% of us think there needs to be a solution, it appears that other than reusing bags and bottles (but worryingly only 75% of those polled are willing to make this small change) only a measly 14% would pay more Council Tax to improve recycling and only 12% would pay more for goods with no packaging that can’t be recycled. Hmm, something doesn’t add up because although we are not willing to pay more, almost half of those questioned felt that in order to help sort the plastic pollution problem there should be a tax on retailers who produce a lot of unrecyclable packaging (which there already is) and that councils should be forced to spend more on recycling facilities (a lot of the facilities are already there…) Surprisingly (not) a fine on householders that don’t recycle (yes, some of my neighbours, that’s you) was not deemed likely to be effective to solve the plastic problem. So, I am not convinced there is a Blue Planet 2 effect. If there is will it last? (Not if it requires consumers to take the initiative and change things.) And, why have the Netherlands got the first plastic free supermarket aisle and not the UK? Posted on April 1, 2018 Categories Enviro-Mentalist at Home, Environmental Issues, Ethical LivingTags Blue Planet, plastic, recyclingLeave a comment on The Blue Planet Effect – is it real? I have a confession to make that may surprise people that have never had a conversation with me (and, please don’t tell our waste contractors this). Or, to be a little more precise I hate the perceptions and excuses that recycling brings. I have lost count of the number of times that I’ve heard people say, I do everything I can, I recycle! Sorry, no you don’t do everything, you put something you buy in a bin that is provided for you. Or, another of my favourites, we are in a better position than we were thirty years ago. WRONG. (I ranted at a bunch of old men in a meeting about this once – most unlike me, as I am actually usually quite shy and retiring). I grew up in the 70s (yes, I know, I am old). We didn’t have so much recycling back then, but we didn’t throw so much away either. Today we throw away an average of 423 kg of waste per person (and this has fallen dramatically in the last five years) whereas 30 years ago we each threw away 25kg less. When you consider how much effort has gone into reducing the amount of material in packaging – thinner bottles, thinner cans, less easter egg packaging (it appears everything is getting thinner apart from the general populace itself), it is still a bit disappointing that we are now where we are. But, as a child of the 1970s I remember that we used to have a return on the pop bottles so of course we didn’t throw them away. The milkman brought the milk in milk bottles which he collected when empty and returned for reuse. We used to hire our television and it was easy (if not cheap) to take it back to be repaired – have you tried finding someone to fix a TV or fridge recently? The last time I tried to get my fridge fixed I was told it wasn’t possible. When we went to the supermarket (such that there were back then) you would put your food in a shopping basket or, if it was a Friday night big shop (yes, we did call them that, Peter Kay didn’t make that up) you would get one of the cardboard boxes from the back of the store to put the tins in. You didn’t get a plastic bag – they charged for those! And you certainly didn’t have all your food prepackaged – who ever thought putting bananas or mushrooms in plastic was either necessary or useful? We might be making moves to be more sustainable – but all we are doing in many cases is turning the clock back. There are now reverse vending machines that give you tokens for bringing your bottles or cans back, there is a move to leasing items so the onus is on the manufacturer to make the goods repairable or recyclable, people search Freegle for cardboard boxes (because you can’t pick them up from the supermarket any more and they come in handy for so many things). I believe that George Osborne (our green chancellor – please, please say you realise I am being sarcastic) is even thinking of charging for plastic bags – his excuse to date has been that it might send us back into recession and hit our pockets too hard – I might be misty eyed in my recollections (remembering days when wagon wheel chocolate wasn’t translucent) but I don’t think anyone blamed plastic bag charges in the 1970s for people being poor. I thought there was an oil crisis and three day week and huge inflation and trade unions that affected disposable income, not plastic bags being less than free! So, the next time you congratulate yourself on your dark green credentials and think that you are doing all you can because you are recycling, be a bit more critical and think – what am I recycling, did I need it in the first place and, can I reuse it or next time buy something that is reusable? Remember, Freegle is your friend. OK, if asked to state what the waste hierarchy is then I guess a lot of people would be stumped. However, most people have heard of reduce, reuse recycle – a lot of waste collection vehicles have it plastered all over their sides. This has become an easily repeated mantra, but, what does it mean in practice and why is it important, particularly for business? ‘ businesses who import or produce, collect, transport, recover or dispose of waste, or who operate as dealers and brokers, must take all reasonable measures to apply the waste hierarchy when the waste is transferred’ (taken from the environment agency website). The waste hierarchy also has recover and dispose – this means that where possible a company should consider energy recovery through either combustion or anaerobic digestion. 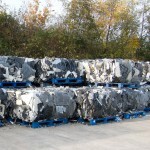 Any waste transfer notes and consignment notes will, from the end of September 2011, include a declaration that the waste hierarchy has been considered in the disposal of the waste. One of the other major changes in the regulations doesn’t come into effect for another four years, but concerns the collection of recycling and will affect quite a number of companies. 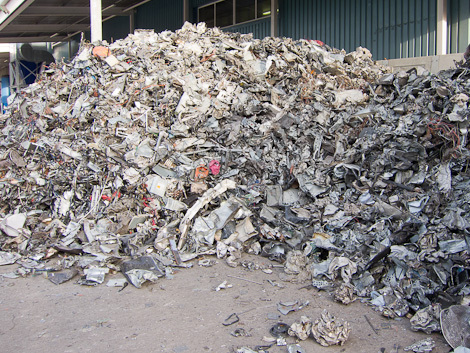 At the moment companies can salve their conscience and save making too much effort by having what is called Dry Mixed Recycling (DMR). This means that cardboard, paper, office waste, bottles, cans, plastic etc., can all be put in one container which is later sorted by the waste company (who charge a little more for this as well). I have also heard of some companies that collect separated waste in one vehicle – thus begging the question as to why separate in the first place. I have two problems with this practice. The first is purely practical. The value and usefulness of these recyclates is lowered because they are contaminated – this is particularly true of the cardboard and paper. The second is a matter of perception. If someone has to make more of an effort and think about what they are recycling because they have to consider and separate the different types, does the importance of recycling increase in their mind. From 2015 anyone who produces paper, glass, plastic or metal waste streams will have to ensure they have taken all practicable steps to ensure they are separated. This will mean a change in collection facilities for many companies and therefore a change in culture. My team and I instigated a separated recycling system on one of our sites a few years ago. We did encounter some resistance at first, but eventually most people did come on board. 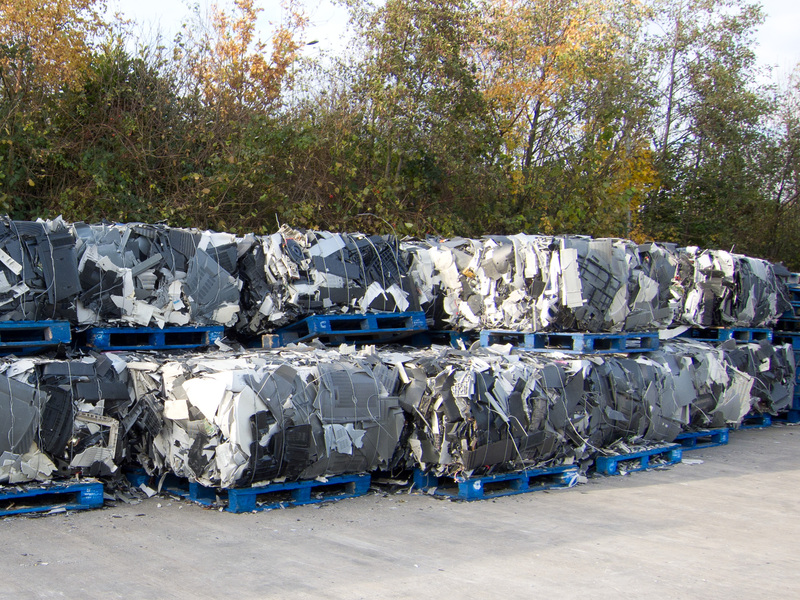 The main problems result from lorry drivers throwing anything they can in the recycling skip. In later posts I will go through some of the things that can be put in place to reduce your waste to landfill as well as taking you along the journey I am starting as I attempt to instigate a waste management practice at work. OK, to some of you this may not seem like a big deal, but I am increasingly paying more attention to packaging and am trying to buy products with less packaging. 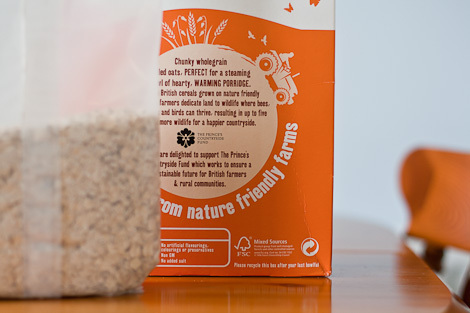 Where packaging is essential, then recyclable or recycled packaging is the preferred option. I recently had cause to change my brand of porridge oats (mainly because Waitrose have a habit of putting them on offer and running out of stock) so, my environmentalist head thought that it would try Jordans who are seem to be doing quite a lot for wildlife and sustainability. 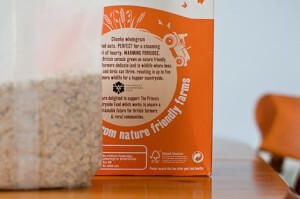 My search for packaging information has also resulted in the discovery of a symbol on the cereal box that I had never noticed before – the orange and white arrows in the bottom right corner of the box shown in the picture above. Whilst this is obviously not a recycling symbol, it does look as though it is related – one could maybe assume that the packaging was made from recycled materials. Unfortunately this is not the case as a quick search around the Jordans website revealed. The intertwined arrows merely show that the Company is complying with European regulations. Companies over a certain size (turnover) or who buy above a threshold of packaging must ‘recover’ that packaging. In practice this means that the Company pays a certain amount into a scheme which then recovers / recycles a certain proportion of packaging material. So, in reality the intertwined arrows just mean that Jordans are not breaking the law on packaging waste regulations – not that they are doing anything special to help the environment. Whilst Jordans are not the only company to put this symbol on their cartons I think that it is certainly misleading – I didn’t know what the symbol meant and I am responsible for ensuring that our company pays a sufficient amount into one of these schemes! Northamptonshire Enterprise recently held a low carbon event over at the University – a morning of short talks by local businesses and organisations aimed at helping to promote low carbon growth in the county. I heard about it through the Daventry Environment Business Network and thought it would be good for my colleague and I to attend. So, was it useful? Yes and no. As with all such events, speakers are there to make money and to advertise their wares – who can blame them, their time is valuable. However, I do believe that if you are going to speak at one of these events, you should have a worthwhile message to get across even if the audience is not in the market for whatever you are selling. A lot of it was not new, it is already out there and it was not presented in a new way. However, it is easy to forget that long list of things that you had intended to do and never got round to. I also came across a couple of new ideas that I had not really considered before. The first couple of speakers were very good and mainly spoke about waste minimisation, cleaner processes etc without too much of a sales pitch. Later talks were more about particular products – biomass and wood burning boilers, LED lights or services – water leak detection. I think I would have liked to have heard more about successes and efficiencies that local companies had achieved though, as this would probably have given me more ideas. However, I do not know where most of the other delegates were from, so maybe it was more applicable to them. So, apart from completely unrelated things that occurred to me, what else have I thought about following this? Firstly is an idea that has also featured in an environmental course I am doing – the idea that what is one person’s waste is someone else’s input stream and that recycling should be a last resort. I need to review all of our waste and see how much is avoidable and whether any other waste streams can be sold or given away. This points me towards some very interesting projects at one of our other sites. Secondly, we really need to be more imaginative in order to change the hearts and minds of those around (and above us). Thirdly was the saying from one of the speakers – do what you do, but do it better – that is – increase efficiency – this, I think, is the key to being more environmentally sound. What will I be doing next? Waste audits, awareness campaigns (waste and energy), increased recycling and checking out renewable heat incentives and other available grants. Continuing the recycling theme from previous posts I note that there were some rather fancy recycling bins inside the building – although, unlike us they do not have any facilities (yet) for crisp packet recycling! Perhaps I should send them a memo! Recycling – the next step. One of the things that I think that we have in common with many companies is that we had a big cupboard (or in our case an area on top of the locker room) which we used to store our waste electrical items. 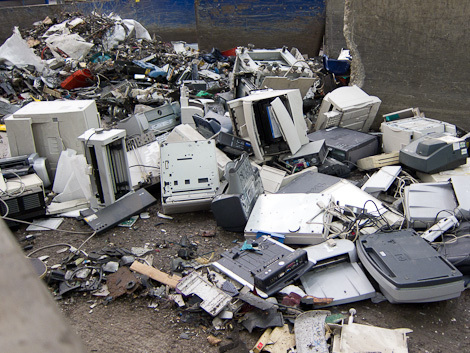 The WEEE (Waste Electrical and Electronic Equipment) directive states that all waste electrical product made after a certain time should be taken back by the manufacturer – I think that most of our stuff was too old for that and as most of it is bought through our IT department it is probably difficult to find the original producer, much less make them take it back – it would just end up in a cupboard at a different site! A recent visit to a centre that takes in WEEE waste provided sufficient momentum to get the process started – at least for our site although heaven only knows how much there is to sort out at the rest of the other sites. All in all the process is quite simple. They sent us a list of hazardous waste which we would have to pay an additional charge for as well as a charge for a consignment note. Once the order was raised we had a pallet box on site for a week and then it was collected – as it was not far away we went to watch it being disposed of and had a great tour round the site. I even took some pictures to prove to our IT department that they would not be usable afterwards. The bits of equipment are bashed to smaller bits by huge whirling chains, then the ferrous metals are pulled out by magnets and other metals separated from the plastics. The separate components are then bagged up and sold. In addition the company operates in conjunction with some retailers to operate a scheme whereby products that are rejected (if, for example they have a scratch) are tested and sold at a cheaper price. Certain products sent from the council recycling centre are also sold on to vetted buyers. My colleague was a little concerned about the huge amount of stuff that is unthinkingly thrown away, something that worries me constantly. However, in this case, the alternative is that they continue to sit up on top of lockers and under shelves etc (although I believe the WEEE directive states that they should be disposed of within 12 months). At least now the plastic has been separated and will be recycled, as will the metals and the bits that make up the circuit boards. 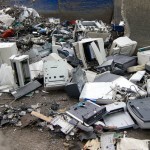 However, it does raise the question as to how do we make more use of our electrical products and stop just throwing them away because a newer, faster model has just been released on the market. Posted on December 2, 2010 November 28, 2010 Categories Enviro-Mentalist at Work, Environmental IssuesTags recycling, recycling at work, WEEELeave a comment on Recycling – the next step. Just like everyone else I have a long list of things to do / organise / put in place which really do not take much effort or time at all. One of these things is to increase the recycling that we do at work. I have now taken the first step and we have installed a textile bin on site to collect old textiles on behalf of the firefighters charity. 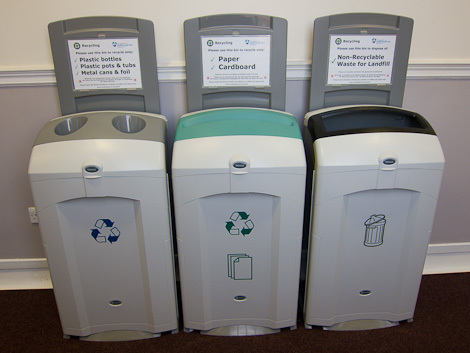 The main idea behind having the recycling bin is to give us somewhere to put old uniforms and gloves, but it is also obviously available for people to bring their old clothes etc in from home. As well as reducing the waste going to landfill, we will be donating to a worthwhile charity and raising awareness of the amount of things that can be recycled rather than wasted. In many ways however, this is more a case of reusing rather than recycling. Any useful items of clothing are sent to poorer nations in Africa, and any textiles that are beyond use are reused as industrial rags etc. 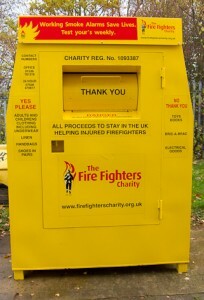 It was really easy to set up and the next step is to put these bins on the rest of our UK sites. In a separate project, a colleague of mine has found a way to recycle (or upcycle as it is more correctly known) crisp packets – which is a pretty good idea considering that an average of 5 or 6 packets are eaten per day in the office (and there are only 8 people in the office!) They are now collected up and sent to a PO Box for the Philippine Community Fund. They are shipped on a boat that is already going to the Philippines and there they are made into bags and purses – about thirty crisp packets making a bag (or one per week for the office). This is intended to reduce child labour in the Philippines as it means that the children of these ladies can then go to school. Waste – who is responsible? There was an article in Business Green today which stated that leading retailers have grouped together to ask the government for new policy to ‘encourage firms to design out packaging’. This raised a number of questions in my mind. Firstly, who holds the key to the use of packaging? Is it government – I don’t think so. It is consumers, and, as we only buy what is available, then, surely retailers hold the trump card – reduce the packaging or we won’t stock your product. Waitrose have recently moved to biodegradeable and recycled packaging, Amazon publicly stated it was going to reduce its packaging, so, surely there is good publicity to be had if these retailers move to reduce packaging rather than asking the government to make it happen. Secondly, where do the Government’s priorities lie? They have recently announced a review of the UK waste policy, details of the remit are yet to be announced, but they are concentrating on increasing recycling rates – because they look good, and have scrapped ideas about a pay as you throw tax, because that would be unpopular. After all, who benefits economically from reducing waste – no one makes anything in this country, but recycling, well, that creates good headlines and, jobs in this country. Or am I getting more cynical in my old age? The obvious answer is to reduce packaging as it uses precious resources, including water, but the initiative should come from retailers and consumers, not from government. This would also have the added benefit of reducing litter – a huge bugbear of mine which I think we need to tackle, not just ignore. Posted on June 28, 2010 Categories Enviro-Mentalist at Home, Environmental Issues, Ethical LivingTags packaging, recycling, retailersLeave a comment on Waste – who is responsible? Binning the bin tax – what a rubbish idea. Listening to the radio on a Monday morning should be relaxing, but I am feeling quite angry. The new government are scrapping the plans of the previous government to make us all pay for what we throw away, replacing it with incentives to recycle. So, instead of reducing the amount of rubbish we are creating we are now going to be rewarded for buying more stuff and how are we going to be rewarded – we will get vouchers to buy more stuff – a vicious circle. If you don’t buy very much, then no rewards for you – we need you to buy things – after all, that is what our economy is built on – shopping. Do I think recycling is a bad thing? Certainly not, but I think we should be at a point now where not recycling is unheard of, unthought of. We shouldn’t have to be rewarded for recycling. What I do think is that if you throw things away you should pay for it – after all you are taking more landfill and more of that scarce resource – space. It is the only way to make people think about what they are buying and why. I understand the argument, there would be more flytipping, and burning of rubbish or putting it in the neighbours bin – then we will have to be more vigilant. The pay as you throw works in Belgium – why are we not capable of managing such a scheme. While it may not be the best way, it is surely a start in the right direction. 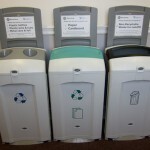 Posted on June 7, 2010 July 6, 2010 Categories Environmental IssuesTags bin tax, pay as you throw, recycling, rubbishLeave a comment on Binning the bin tax – what a rubbish idea.